Durable Water Resistant RFID Aluminum Wallet Only $5 Plus FREE Shipping! 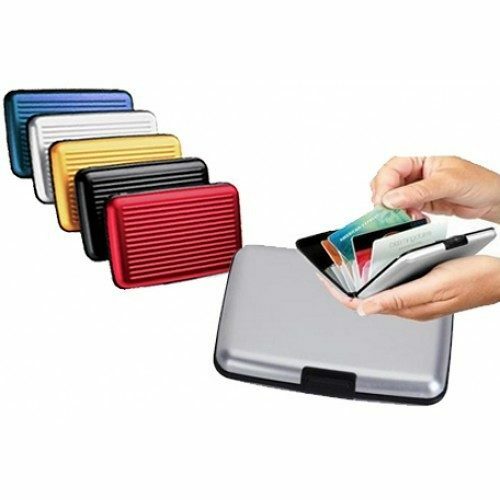 You are here: Home / Great Deals / Durable Water Resistant RFID Aluminum Wallet Only $5 Plus FREE Shipping! Prevent electronic pickpocketing, identity theft, and payment fraud with this RFID blocking wallet. This Durable Water Resistant RFID Aluminum Wallet Only $5 Plus FREE Shipping is made of lightweight aluminum, and with its ultra-slim design, fits easily into a purse or your pocket!